at the time but very basic and i quickly got bored with it. DJing quality to no end. My suggestion would be to upgrade. selection and ideas about you set. I will continue to look out for your work. Hope i helped. @SAMUS : Thanks Man for the Honest feedback. Yes Some of the beats are off. the idea was to create new version of the songs by using the beat from next or previous song. will try to do better next time. Lets keep in touch. BTW Where do you spin in TO. ? Dude, I sincerely dunno what you are using to mix but when you loop a 4, every single time the 4th beat is not on time. Either your PC can't run the program that you're using properly or your beats are not timed properly. Come on man, you can do better! Only helping, not criticizing. It's too bad 'cause your ideas in this mix are great, but what you're using is awful to get there. And it doesn't sound good to listen to. Fix that problem and you will have great mixes my friend. Thanks Jagger and Kel0858 for the support. just let me know when you ready to download and i will enable the link for you cheers. I am very sorry that you Do Not Allow this good beats and mix to be downloaded. 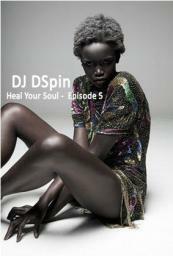 Why, Mr DJ DSpin ? Come On.